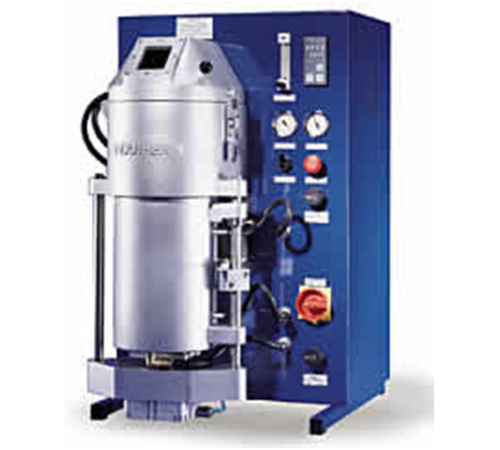 The resistor-heated vacuum casting machine VC 200 and the vacuum pressure casting machine VC 300 are very low priced casting machines for smaller productions. Nevertheless these machines offer a convin-cing casting quality. 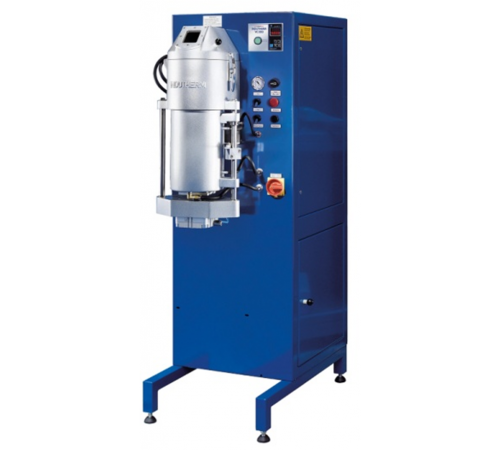 Both machines reach up to a maximum temperature of 1200° C.
Automatic inert gas or vacuum in the melting chamber to avoid undesired oxidization or the formation of inclusions during melting, particularly important when casting silver or red gold. The special “oxidation-reduced casting” system eliminates the danger of oxidation while the flask is cooling down. More user control, if required The integrated data printer (optional for VC 500) records the parameters of every casting (ISO 9001). All machines with an induction generator can be remotely serviced via a GSM modem. The GSM modem enables Indutherm to remotely monitor and, if necessary, modify important parameters. This allows many potential operational disturbances to be detected in advance and hence avoided. If the machine isn’t working properly or a difficult casting procedure is being carried out, we can remotely provide quick and straightforward assistance. Highest levels of safety for certified production. The digital or program control of our machines means we can ensure a high level of safety i.e. we can guarantee an ISO certified casting process. Until recently flasks with incorrect or different temperatures were a safety risk. During casting of very small or delicate parts the temperature of the flask is of upmost importance. The measurement of the flask temperature (standard for machines from VC 500D onwards) is an important feature with regards to safety. The temperature of the flask can be monitored to within one degree accuracy. induction coil. By generating a strong alternating magnetic field it results a strong alternating current in the graphite crucible and in the metal. This leads to a fast heating up and a thorough mixing of the material. The induction generators are the “centrepiece” of our casting machines. We design and develop all our generators – right from the very beginning. In this way we can make sure that each casting machine is optimally tuned thereby guaranteeing longevity, reliability and operational safety, even in continuous operation.